Winner of the gold medal in women's slalom at the 1972 Winter Olympics, and two time national champion, Barbara Ann Cochran competed on the World Cup circuit for seven seasons, notching 3 wins, 18 podiums, and 45 top ten finishes. She is a member of the famous "Skiing Cochrans" family, which has operated a small ski area in Vermont for more than fifty years, where she runs the pre-school ski school and trains junior ski racers. Barbara Ann's son, Ryan Cochran-Siegel, is the current World Junior Downhill and Combined Champion. 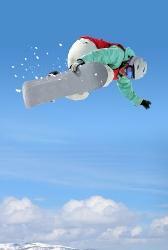 Downhill skiing is a fun recreational and competitive sport for all ages. Downhill racers are allowed comprehensive preparation before their races, such as a course inspection/tour and several practice runs before the race begins. This sport takes a lot of practice before one can start competing because it requires a lot of control and balance. While practice builds speed, control, and balance, even skilled and professional downhill skiers are at risk: two downhill deaths in the World Cup in 1994 and 2001 gained international attention. Before your children sign up, make sure you talk to them about the importance of safety and control. MomsTeam's goal is to provide comprehensive information on downhill skiing: advice on the equipment needed and how to buy it, a primer on the rules of the sport, and videos and advice from experts, parents, and manufacturers of downhill skiing gear.